SURREY, British Columbia - Feb. 28, 2017 - PRLog -- Hamilton Duncan is proud to welcome David Perry as a new lawyer with the firm. 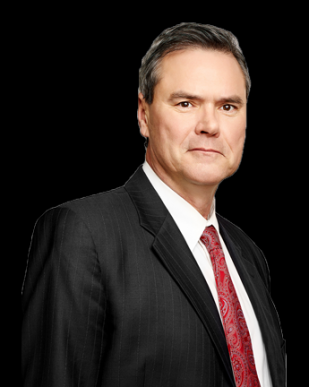 He comes with over 27 years of litigation experience focused on mediating, settling, and litigating disputes in the areas of insurance defence, corporate-commercial litigation, administrative law and environmental law. His extensive experience managing complex litigation files and ever-increasing quest for knowledge makes him a perfect addition to our team. David has joined the firm to further develop the growing portfolio of lawyers at Hamilton Duncan, which also manages transactions and litigation involving businesses, real estate and land development, personal injury cases, estate planning and litigation and more. He commented, "I look forward to becoming a part of the Hamilton Duncan team and serving my clients with the best resources available." Greg Palm, co-managing partner, said, "We are very excited to have David Perry join our team at Hamilton Duncan. Not only will he enhance our litigation department, but he brings with him years of experience and a passion for success." Hamilton Duncan is a business and litigation law firm based in Surrey, British Columbia. They are one of the largest, most established and well respected law firms in the Fraser Valley, having served businesses, institutions, and individuals throughout the Lower Mainland and the Fraser Valley since 1959. Hamilton Duncan is a full-service firm, and they boast a strong track record of assisting clients to achieve their goals and objectives by providing experienced, innovative, and superior legal services. More information on the company's services, key leadership and history can be obtained here: https://www.hdas.com/.